Great game, thanks for posting. Looking forward to mine arriving later this month! -Machine I was playing on the set up was a little off. Gene ball returns for demon lock needed a save each time to keep the ball in play. -right out is pretty brutal, don't let it anywhere near it if possible. -got 3 instruments, I think it takes 5 to activate Spaceman, so never saw it. -all in all I'd say pretty difficult as it stands at the moment but shows potential for sure. Just my personal thoughts on short playtime. 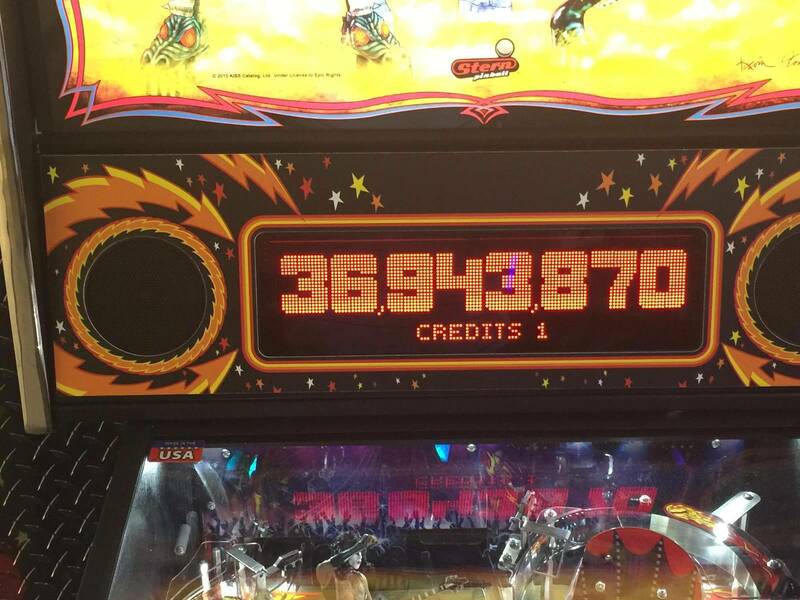 36mm was my highest score. Your video got me pumped up to play the game. Nice job and thanks for the video. Good game, fun game. But.... What happened to stunning for 6k euro? Stern games are fun, but are never breath taking. Only their prices are. I wish the most experienced manufacturor would put more efford, love and bom into their games. They are capable, but just dont do it. Same like not stepping up their code department. They are able to step up. But it sells, so its good enough for them. A bit of a shame, that 'good is enough' policy. Is that the original sound track recording? Doesn't sound right to me. It looks pretty easy to shoot and kind of boring. but thanks for the vid! Played a ton of it tonight - fun game! My friend got to the wizard mode (mini wizard?) but we didn't know what to do and the jackpot values weren't super high. Not sure if it works kind of like Kobayashi Maru on ST? We weren't sure if you could stack the two main multiballs either. 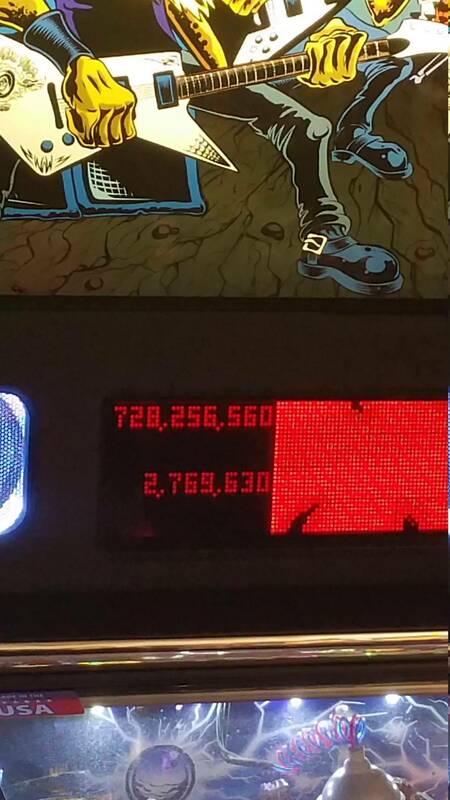 Seems like getting instruments is key to light EB and that the Starchild multiball is worth way more than the demon one. Can someone answer my question about the songs? Are they the true recordings? Just doesn't sound right to me. They are not the original recordings from back in the day. They're the re-recorded versions from a few years back. Although I like KISS, I'm not a huge fan, so I can't tell you the album where the re-recorded versions are from. I'm sure someone will probably chime in with that knowledge. You can also find this topic discussed in the main KISS discussion thread about the machine being kind of based on the '78 machine, but you'd have to dig through lots of stuff to find it. I'll be honest with you, I could not tell the difference when playing it last night on location. Wow what a nice video. Great point of view and excellent playing! Thanks for sharing! I'm the one that asked Jared about fading on the new system since SPIKE will be all-LEDs... digital camera isn't the best way to capture it, but you can tell even from this gameplay video that the insert lighting is SUBSTANTIALLY better than the old LED lighting in say X-Men or Tron... those games are very "blinky"....just flat on or off, and the few times they had tried to do 'fades' with them, they were very strobey. Just like putting an LED in an incandescent. You can clearly tell from Jared's video and this video that fading is being done properly with these little LED boards, finally. Some people might just go "eh...." but for me it's a MASSIVE improvement, and one that saves me over a hundred bucks a game to boot. I will not mourn the reduced need to purchase LED OCD boards. Frax, it looks tremendous in person. No need for OCD LED for these new Sterns Going back to play and see if I can put my initials back up! I just put Kiss on location at Lanes and Games in Cambridge, MA. I wasn't expecting much since I'm not a big Kiss fan but I really liked it! Nice art and backglass to start. The wireform ramps made the game feel retro which is cool. It is not a drain monster even though the outlanes are opened up all the way, had good ball times for the first plays. I knew all the songs from high school even though I never bought a Kiss album. There are several challenging shots. The right ramp has a very tight opening and the light lock target is tucked back a little next to the ramp making it very tough. This will be a hard game to consistently get good scores on. I can see this being an excellent tournament game. Just my first impression but it was good one. Yeah... BIG Thanks. Your play is damn good too!! Super cool video!! Another cool game from Stern. Cannot wait for my LE. The code will be great when done. At least we have the game being manufactured. I found the gameplay is a little boring and repetitious which it to be expected on initial code. The machine looks fantastic and give it another year with much more mature code and it should be a solid entry. There really isn't a NIB Stern from my memory that was really good right out of the box, give it time has lots of potential. I found the gameplay is a little boring and repetitious which it to be expected on initial code. How can code change that? Not much to the layout of AFM yet the code still makes it an exciting game to play. Judging the game from a video probably isn't the best thing to do. How would a guy that thinks that Metallica gets stale quickly be expected to understand the answer to this question? I'm not big on bashing. All I can say is that anyone that thinks that Met is all about bashing Sparky will pretty much get *destroyed* in my house. You don't get winning scores in my house that way. I liked coffin multiball, but beating the crap out of that square block to get there got old. And I am not one to change settings to make it easier.